North Carolina meeting and event planning destinations offer a plethora of possibilities for planners, depending on what the attendees need. Choices aren’t limited to Charlotte or Raleigh/Durham: event attendees can take advantage of downtown Asheville’s The Venue, a facility with three spaces for a total of 13,000 square feet, while Greensboro’s The Empire Room offers a 12,000-square-foot ballroom. For larger events, planners can turn to North Carolina meeting and event planning such as the Greensboro Coliseum Complex, offering arena seating for up to 23,500 and a 150,000-square-foot Special Events Center. Artistic Asheville features the U. of North Carolina campus the site of a Civil War battle; meeting and event planning there includes Magnetic Theatre. Known for NASCAR, planning meetings and events in Cabarrus County also comprises group-friendly attractions, rich history, and the largest shopping destination in the Carolinas, Concord Mills Mall. Chapel Hill, home to the U. of North Carolina, is one corner of Research Triangle and a hotbed for music; meeting and event planning choices include the Coker Arboretum. Charlotte's got a lot. A Southern gem filled with metropolitan flair and small-town flavor, it's no surprise that Charlotte is one of the nation's fastest growing cities. The former base of Bull Durham Tobacco, Durham is now a major biotechnology, medicine and information technology center, and a popular setting for meeting and event planning in North Carolina. A welcoming North Carolina destination within easy reach of Raleigh and Research Triangle Park, Goldsboro delights groups with its new event center and unique venues. 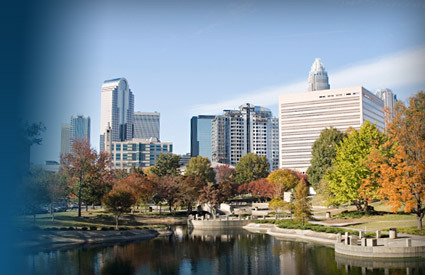 Greensboro is a clean, environmentally aware city for planning meetings and events in North Carolina. Its attractive location on the Eastern seaboard is enhanced by a recent revamp of the city's historic downtown district. To those planning meetings and event in Greenville, the chief advantages are its commercial, cultural and medical industries of the region, as well as being home to East Carolina University. Planning meetings and events in New Bern is a matter of choosing among a wealth of venues: From Tryon Palace to Foscue Plantation to a river charter, groups will find New Bern a welcome surprise. Home of the state capitol and one of the country’s biggest research parks, Raleigh meeting and event planning pairs hospitality with top-shelf venues like the Raleigh Convention Center. When meeting and event planning in Smithfield, rally the group around the Ava Gardner Museum, Smithfield’s most famous resident. And don’t forget to have a little barbecue. Meeting and event planning in Wilmington includes a number of facilities, first of which is the new Wilmington Convention Center. Other venues include Wilmington Railroad Museum and the USS North Carolina. Meeting and event planning in Winston-Salem? Take advantage of vintage venues and cultural attractions, in addition to the excellent dedicated meeting space.